In a pan, add oil and splutter mustard seeds and urad dal. Add dried red chilies and curry leaves. When urad dal turns golden brown, add banana stem, salt, turmeric and chili powder. Close the lid and cook it. 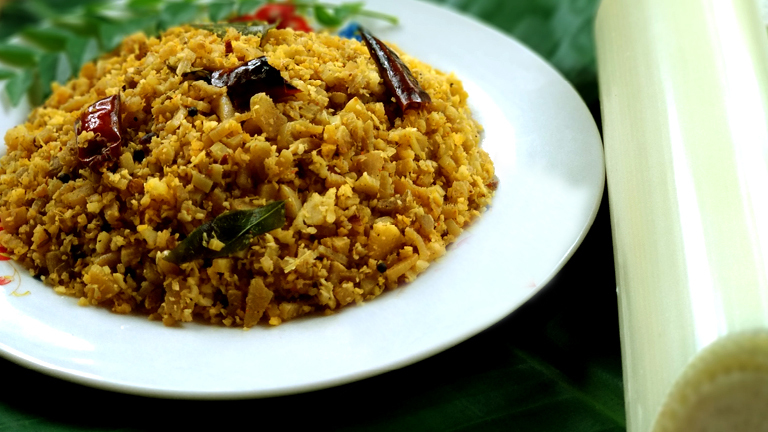 To this add coarsely ground mixture of coconut, cumin seeds, garlic and curry leaves. Mix well till all water dries up.